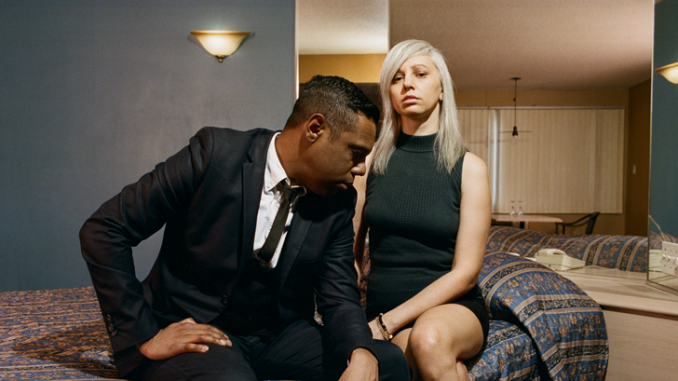 Montreal indie-pop veterans The Dears have officially shared their new single, “Taking It To The Grave” – the latest track to surface from The Dears’ upcoming LP Times Infinity Volume Two out July 14 via Dangerbird Records. You can listen to “Taking It To The Grave” below. The album is the second instalment of a two-album project. Following a six-year hiatus, The Dears made their triumphant return in February 2017 with their much-lauded Times Infinity Volume One. Check out the XS Noize Music Podcast interview with NATALIA YANCHAK of THE DEARS on Times Infinity Volume One + Two HERE. 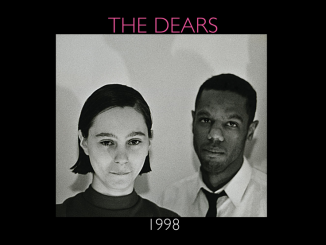 The Dears’ Times Infinity Volume Two sees the completion of a body of work that founding members Lightburn and Yanchak recorded over a two-year period between Toronto’s Revolution Recording and Montreal’s Thee Mighty Hotel2Tango. Lightburn says of the final mix sessions for Volume Two: “At the hotel2tango, it had been a 20 hour day. I worked deliriously towards finishing Volume Two. In part, it was because I knew precisely how it was all supposed to fit together but mostly because there was another band’s session coming within just hours. It really recalled those overnight mixing sessions for No Cities Left, complete with a fresh-faced Howard (studio co-owner Bilerman) arriving in the morning, coffee in hand, asking, ‘How did it go?’ I still don’t really know. But I did my best.” Both Lightburn and Yanchak identify Volume Two—a record driven by an unmistakeable sense of unease—as the comparatively darker half of the Times Infinity series. The Dears have majored in bristling honesty throughout their 25-year career, and Volume Two is no less candid, with the microscope turned on Lightburn and Yanchak themselves. Propelled by driving basslines, the fractious “Of Fisticuffs” doubles down on the propulsive agitation of Times Infinity’s first installment, typifying the universal, everyday tightrope of choosing which battles to fight. For Lightburn and Yanchak, married with a young family of their own, a sense of protecting what’s most important runs deep through Volume Two, though rendered with disarming tenderness. The Dears emerged out of the early 2000s Canadian indie renaissance, cementing their orchestral pop-noir sound with celebrated debut album End of a Hollywood Bedtime Story in 2000. In 2001 and 2002, they released the EPs Orchestral Pop Noir Romantique and Protest, as well as a collection of unreleased songs, Nor the Dahlias. In 2003 they released their second full-length album, No Cities Left. Then a string of highly anticipated shows at SXSW 2004 launched their international career. Gang of Losers was released in 2006, was well received by the press, and shortlisted for the Polaris Music Prize. A tumultuous transitory period followed. The Dears emerged, stolid, with another meticulously crafted classic, Missiles in 2008, and later 2011’s Degeneration Street. The Dears will return to the UK in October for a run of headline dates which follows a sold out tour in February, the band’s first here in six years. 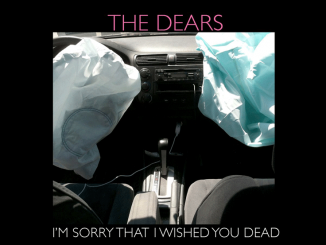 THE DEARS – Share New Track ‘I’m Sorry That I Wished You Dead’ – Listen Now!